Robert Brittan was the first winemaker at Far Niente, then spent 16 years as winemaker and estate manager at Stags' Leap Winery before fulfilling his dream of making Pinot Noir and Syrah from cooler climates. A graduate of University of California at Davis, he has over 30 years of experience in making wine. He is also the winemaker for Winderlea, Blakeslee, Lazy River and Ayoub. Robert’s spouse, Ellen, is a veteran of the wine industry as well and focuses on the sales and marketing of the Brittan Vineyards brand. 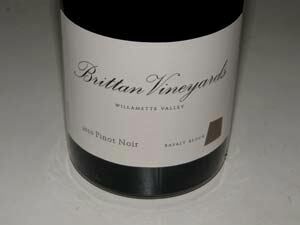 Brittan had made Pinot Noir in California but felt he could do better. He had made wine in Oregon before, as an undergraduate at Oregon State University in the 1960s. He sold a plot of land he owned in Napa Valley and used the proceeds and loans to buy a 128-acre forested tract on the edge of the Willamette Valley in 2004, a site that took him years to discover. The soils here are a mix of basalt and volcanic rock. He replanted 18 acres of vineyards on the property (some plantings of Swan clone Pinot Noir were retained, a rarity in Oregon), cleared some additional land, and planted additional 3.5 acres of Pinot Noir in 2008. He now has Pinot Noir, Chardonnay and six Rhone varieties across 21 acres. He is convinced that Rhone varieties can succeed in the Willamette Valley. 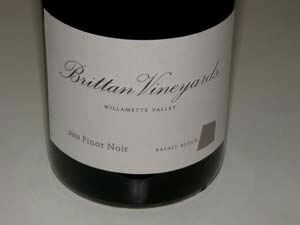 The first two Pinot Noirs were produced from the property's mature vines in the 2006 vintage: 400+ cases of Basalt cuvée and 200+ cases of the Gestalt cuvée, He remarks, "They don't have that prettiness of most Oregon PInots, but they do have something else. They're out on the edge." The wines are sold through a mailing list with limited retail distribution.